I’m concerned at the state of maths in our population. Worse, at the lack of simple arithmetic. We have just spent a week in Scotland, a country I have previously accused of being basically closed. The majority of money transactions were incorrect at the point of delivery. • Our hotel bill failed to include the written discounts promised. Various things we attached to our room bill were charged separately. This is a failure of procedure and perhaps an abuse of the access to our card details. Our second, different, hotel bill was perfect, exactly as agreed - but that was the Hilton (lashing out just the once). 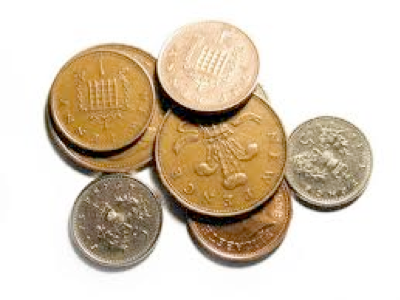 • C was given a pound too much in change (four coins not three). This could be an arithmetic error, which means the till was not being used to calculate change – or else it is a basic counting error. • On one occasion we discussed at length, C handed over £10.10 for a £5.05 payment, apologising for not having the five. She received £5.20 in change. So the notes were right but the coins were not. This is a failure in several ways, since there is no transaction that makes sense of a 20p coin in the change. This is mis-reading at the least and a lack of attention encroaching on really not caring at all. At its nicest, there was a 20p coin in the 5p cash tray and the till attendant did not notice the difference. • We bought a paper and some drink. The cash transaction had the wrong mix of coins, as if someone cannot tell a 10p from a 20p, or cannot add up to such an extent that when the till indicates what change is to be given, the addition of coins is too difficult. • We were presented a bill and charged for another. What was charged was correct; it was not our bill. Every time we bought things with cash in Scotland the change was wrong. We have, in Tyneside, lost the habit of checking every transaction. This is partly because we have detected no errors, partly because we both occasionally have no idea what has been said to us and so we have a damn good idea what money is owed and we tender a sensible mix of money to cater for this. We do have difficulty (i.e. we need to ask) with menus and combination of payments, where the language used is not sufficiently unambiguous. That is not especially because we can or cannot afford the meal, it is more to do with making sure we are not unpleasantly surprised at settling-up time. In England there is a requirement or at the least a general habit that on ordering food the waitress (or more rarely, waiter) reads back the order as confirmation. This did not happen to us in Glasgow with the direct result that what appeared was not what we ordered in several respects, but not so far wrong that this was not our meal. One is then left in the uncomfortable position of choosing whether to complain (which probably means the food gets colder still and risks spoiling any harmonious feelings in the occasion) or to grin and bear the consequences (internal conflict ensuing). We have a culture clash here; my inclination is to bear it and cross the place off future visits; herself would rather fix it – but then she gains self-respect by spotting the error, where I do not, feeling I failed to choose a good place or failed to communicate sufficiently clearly. I no longer feel that such errors are those of the individual, or certainly not as much as I used to. I now consider most such errors to be of process and management. Too many of these errors can be explained by the staff simply not caring: “It’s not my money and not my business, so why would I care?”, “They don’t pay me enough to care” and ruder versions of similar expressions. We had a meal in a nice place on Arran where my drink was neglected. The staff were pleasant and generally happy and busy. Identifying what their real problem was (quite different from not caring) made my asking about (reminding of) the omission not a problem but somehow more the customer helping out a busy person. Conclusions: it is quite possible that the teaching of arithmetic has failed. It is more likely that the assistance provided by the till (the POS, point-of-sale machine) has caused atrophy of any basic checking skills. That doesn’t explain nor excuse the evident failure to count out change correctly. We have POS machines that let us do our own check-out – these rely upon the customer to be honest, so the vendor then invests in inspection tools and staff for security / assistance. We have prophesies of automation that measures our ‘basket’ while we shop and charges us upon exit. Such an ‘advance’ will have its own issues – I imagine the chaos caused when a shopper changes its mind simply because there is a far less obvious moment when the commitment to buy occurred. I see in our local Morrisons how busy the Customer Service desk is, I see in our local B&Q how the returns desk is continuously manned. Clearly selling has changed its nature. Indeed, perhaps the concept of a sale has changed. If you can return something used once, what can you find that you have used once intentionally that you could then return?¹ At what point were the terms sale and hire blurred? To what extent is clothing damaged by ‘trying it on’? Or vegetables damaged by handling by what I would call ‘fussy’ customers (and they would call themselves ‘careful’)? Does this imply an overhead of damage that the vendor must bear? How does that affect web sales? By which I mean to wonder what level of returns occurs for things purchased over the ‘net and where the line is drawn about use / not use. Things intended to fit parts of the body are often not as described, where women’s clothing is too easy a target. Aside from mis-measurement and mis-labelling, we have too many clothes that simply are not the same size. My wife pointed out thirty years ago that she was size 16 for some suppliers and size 12 for others, where generally, we observed, more expensive meant the declared size was smaller. This vanity sizing nonsense is perpetuated by the acceptability of self-deceit “I’m down to size 12”. That is confusion between description and persuasion. Or, in my head, between honesty and deceit. Note to investigate what a size 12 means. This became page 166. Note to see if I can determine what skills are expected from POS staff. 1 Short story idea. Go to DIY store, ‘buy’ a load of stuff, use it to do a breaking and entering crime (B&E not B&Q); return the equipment. Disappear with swag. Or not, it’s your story to tell. As if someone read this essay, two weeks later was a report on the radio that catalogue clothing was experiencing a 30% returns rate. Quite enough to re-think how to do sales; what an outrageous overhead. Press piece called for on what a company does with returns? If it was ‘tried on’, found to ‘not fit’ and is returned, for how long was it worn? Just the three hours of the function it was required for? Research also called for to see how often clothes are actually worn (men, I say, either wear something to destruction or hardly wear the garment at all).